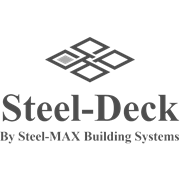 Steel-Deck is DIY friendly, custom made to your size, certified steel floor framing system for domestic and light commercial decks. Directly delivered to site in 10-15 working days. Delivery charges apply. 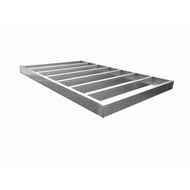 Supplied with bearers and joists pre-cut and labelled to form in-plane panels, they are simply screwed together with brackets and the provided tek screws. Order as many panels you need, with any panel custom made to your exact size, up to 12m long by 5m wide. Optional steel stumps/piers are available as well as optional site specific certification.